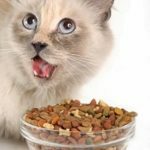 Our Pets 4-inch Healthy Diner allows your cat to eat with an ergonomically correct posture, eliminating muscles strain or joint stress, helping to reduce digestive problems such as bloating and gas. 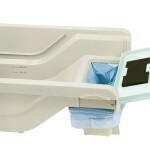 Elevated feeders are a good solution for elderly or disabled pets. 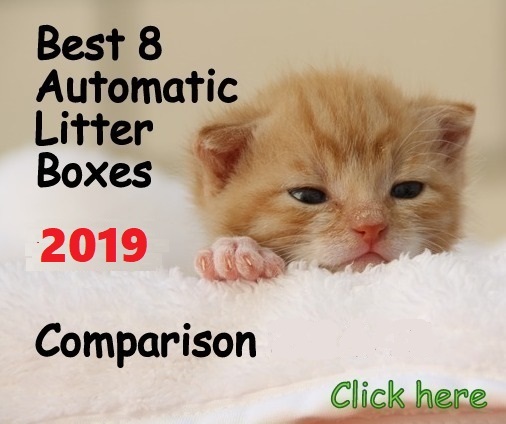 The 4-inches size suitable for cats includes two 1-cup capacity stainless steel bowls that can be removed for easy cleaning. 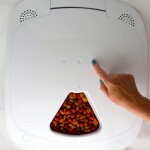 The unit features self watering option and a unique spill ridge on the top to reduce food or water spills. 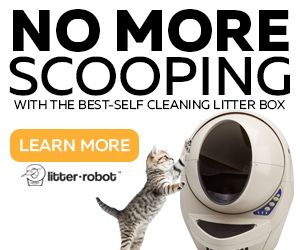 Our Pets Healthy Diner raised feeder is environmentally friendly because it’s made from recycled plastic. The feeder is made in USA. 4” size. Dimensions 15” x 8.25” x 4” high. Bowls hold 2 cups total. 8” size. Dimensions 22.5” x 13.5” x 8” high. Bowls hold 1.5 quarts total. 12” size. Dimensions 27” x 14.5” x 12” high. Bowls hold 2 quarts total. 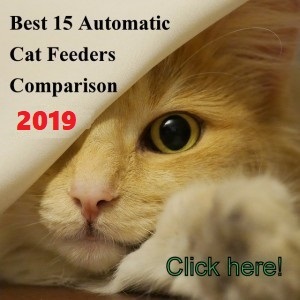 This review is for the 4” size feeder, suitable for cats. 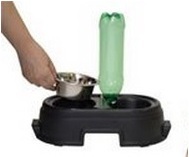 Simply remove the water bowl and fill with water about halfway up the side. Then fill a 2-liter bottle and slowly turn it upside down (making sure not to spill) while screwing the bottle into the feeder’s special threaded hole (make sure to remove the plastic ring before screwing the bottle into place). You can use any simple water bottle with universal head. 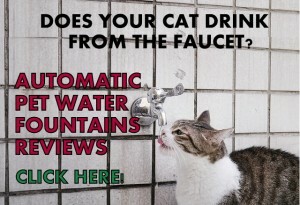 This system refills the dish space with water as your cat drinks. The stainless steel bowls are easy to remove and they are dishwasher safe. In some cases you may want to use a brush to scrub some stuck food from the bowls before washing them. The bowls and feeder base can be wiped down with a wet soft cloth and also underneath the bowls where water or food get accumulated. You can use mild soap to clean underneath the bowls. 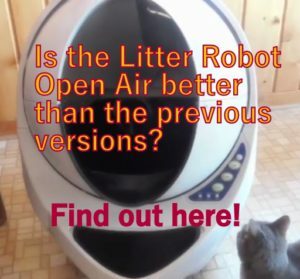 What are the Pros and Cons of Our Pets Healthy Diner Pet Feeder? It is a good idea to place the feeder on a mat to contain spills and to help the feeder from sliding on tiled floors. 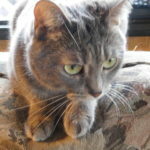 If you are going to use your feeder outdoors and don’t want to keep wiping underneath the water bowl, you can make a tiny hole in the bottom of the plastic bowl holder to drain down the water accumulation. 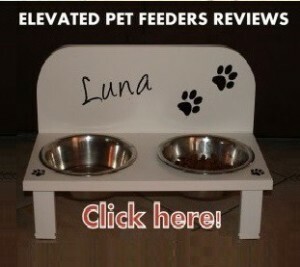 Our Pets Healthy Diner elevated feeder has a good value for money. 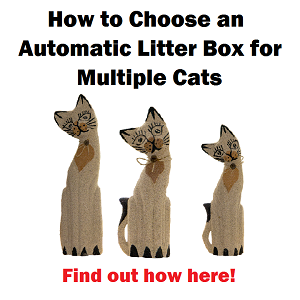 It is stable enough to ensure your cat won’t be moving the feeder around the room when eating or drinking. The bowls will stay in place as well. 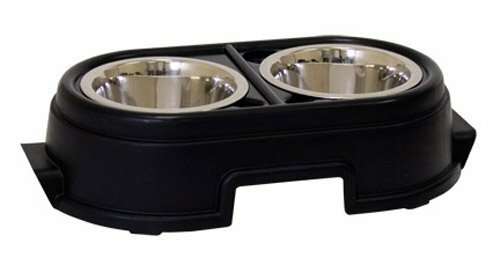 Our Pets Healthy Diner feeder (as all elevated feeders) needs some attention every 2 or 3 days to wipe dry or clean the water/food underneath the bowls. This is normal and is part of the routine of these type of feeders, I put this in the “Cons” list because it was the complain from customers but they will find the same situation with most elevated feeders on the market. Some customers state the stainless steel bowls are thin but they are safe in the dishwasher and they fulfill their purpose which is to contain the water and the food.